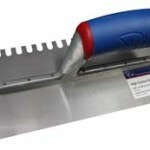 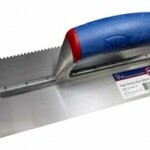 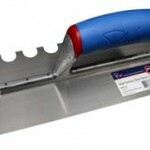 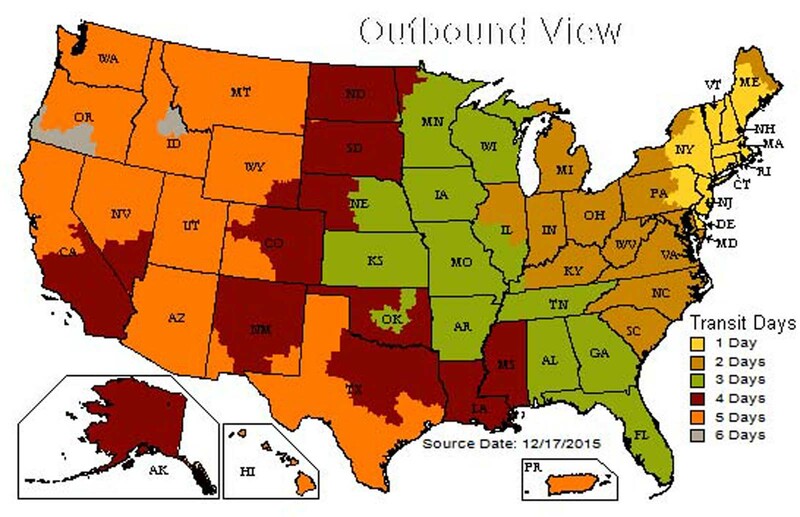 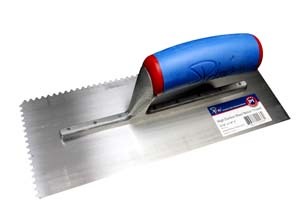 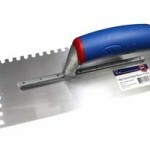 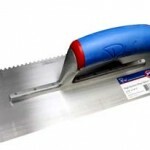 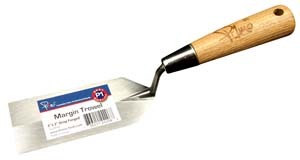 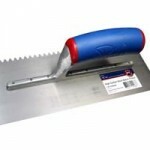 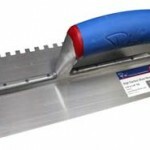 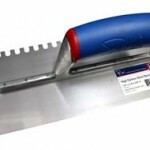 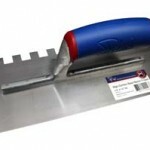 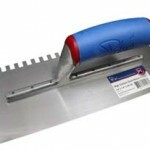 Compare quality to other brand names trowels that cost 30% more! 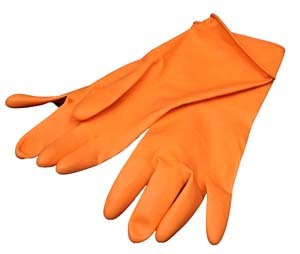 Buy quality and save! 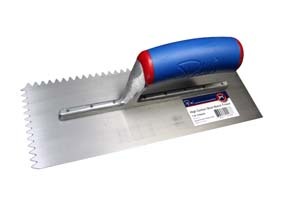 Why pay more when Primo Trowels are made using the same processes and quality standards as more well-known brands which cost 30% more. 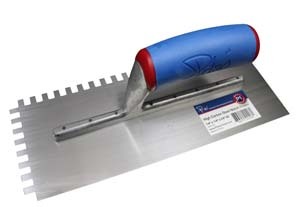 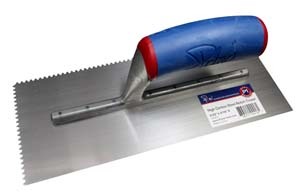 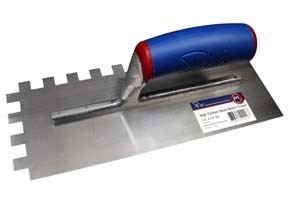 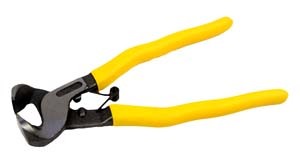 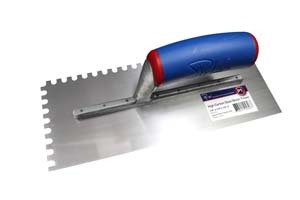 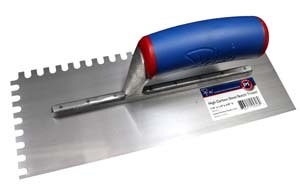 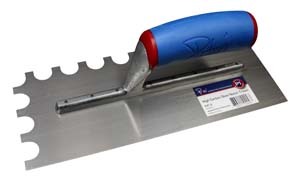 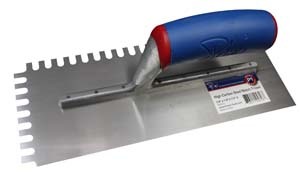 Constructed from high carbon steel with a full riveted shank for added strength and durability, the Primo Notch Trowels is design to meet the demands of professional tile installation. 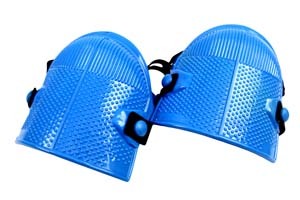 The resilient soft handle provides a soft comfortable feel that improves control and reduces fatigue. 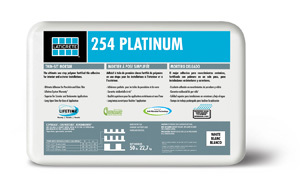 Primo trowels are the result of over 40 years of tile tool innovation, design and production experience.